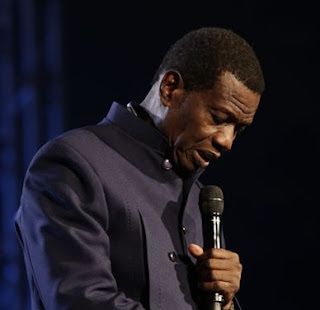 The General Overseer of the Redeemed Christian Church of God (RCCG) Worldwide, Pastor Enoch Adejare Adeboye, has said those responsible for the devaluation of the national currency, the naira, will not live to enjoy their illicit gains. Delivering a sermon at the special Sunday service organised by RCCG Region 11 aka Ikoyi/Victoria Island Family at the Tafawa Balewa Square, Onikan, Lagos, yesterday, Pastor Adeboye said this was a revelation he received from God early this year but which he was sharing for the first time. “Those who are deliberately destroying the naira will make the money but will not spend it,” he declared. The naira crashed in value in recent months, exchanging at over N500 to the US dollar before it began to appreciate lately. Yesterday’s service was the first of its kind by Region 11, whose appellation was changed from ‘Ikoyi/Victoria Island Family’ by Pastor Adeboye. “On my way here this morning, while I was on the long bridge, God told me to change your name to Blessed Family,” he said. Dwelling on the theme of the programme, which is ‘Enlarge’, Adeboye said it connotes the presence of the enlarger as well as the one to be enlarged. “God is not interested in addition but in multiplication,” he noted and added that God had pleasure in the prosperity of His people. Pastor Adeboye, however, admonished the congregation to always do the will of God and be ready to pay the price for greatness. “If you do the will of God, He will do His own part,” he added. Using his personal life as example, Adeboye said his greatest desire was to become the youngest vice chancellor in Africa, but, God has blessed him beyond his wildest imagination. “I might not have become the youngest vice chancellor, but, today, I have many vice chancellors who call me ‘Daddy’ and I have my own university. “If you would be committed to the vision and mission of RCCG, you cannot die without commanding influence. There is a special influence and special anointing upon RCCG,” he added. Earlier, his wife and Mother-in-Israel, Pastor Folu Adeboye, declared the programme “the beginning of a new day” and also appreciated those who grew the region from a humble beginning at Our Saviour’s School in the 1980s. The service started with the Regional Pastor, Charles Kpandei, leading the congregation to sing the Blessed Family’s special song. He paid tributes to his predecessor, Pastor Oretayo Adetola, whom he described as the ‘martriach’ of the Blessed Family. Dignitaries who attended the special Sunday service included the RCCG national overseer, the national secretary (represented), National Treasurer, Elder Fola Aboaba, Felix Ohiwerei, Okey Mofunaya, Chief of Defence Olonishakin and provincial pastors. The Central Bank of Nigeria, CBN, on Monday directed all deposit money banks to immediately commence the sale of foreign exchange to their customers at N360 to the dollar. In a statement by the apex bank spokesperson, Isaac Okoroafor, all customers requesting forex for their basic transport allowance and personal transport allowance, tuition and medical fees, would henceforth get it at an exchange rate not more than N360 to 1 dollar. The terse statement reads, “The CBN to sell forex to banks at N357/$1, while banks will sell to their customers at N360/$1 for invisibles (BTA, medicals, fees, etc),” the apex bank said on Monday. “CBN directs banks to post new rates in the banking halls of their branches immediately. CBN examiners to visit banks to ensure the new rates are implemented. The apex bank said it would sell to commercial banks at N357 per dollar and banks are to post the new rates in their banking halls of their branches immediately. 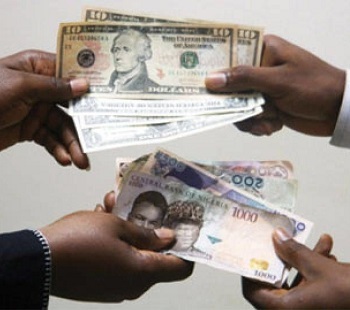 For the first time in seven months, the dollar fell below the psychological N400 barrier, when the greenback traded at N399 to the dollar in Lagos and exchanged at N395 in Abuja, lower than N410 at which it traded on Tuesday. With the gains made by the local currency in the last five weeks, the naira inched closer to one of the Central Bank of Nigeria’s (CBN) key foreign exchange policy objectives of an exchange rate convergence. The naira trades for N375 to the greenback for invisibles and at N307 to the dollar on the FX interbank market, the official window for manufacturers and importers of raw materials eligible to buy FX from this segment of the market. The last time the naira traded at between N395 and N400 to the dollar on the parallel market was in August 2016. The significant gains made by the naira on the parallel market, according to market analysts, was a reflection of the improved confidence in the FX market, following the sustained dollar interventions by the CBN since last month. One analyst also attributed the gains made by naira to the Bureau de Change (BDC) operators that are awash with dollars and with little or no customers to patronise them. He said several retail customers who used to resort to the BDCs (which realistically fund the parallel market) to fund invisible transactions now get to buy dollars at a lower rate from the banks. “The BDCs are awash with cash. Remember that the central bank sold about $200,000 to each BDC at some point and they had also bought dollars at high rates which they hoarded, thinking that the naira would remain in a free fall. “But with the CBN’s intervention, they are stuck with loads of dollars and little or no customers, so they have stopped buying dollars and are looking for avenues to offload what they bought at ridiculously high rates. “Essentially, the speculative attacks on the naira has come back to haunt them and they’ve got their fingers burnt,” he said. In all, the central bank has auctioned a total of $1.895 billion through forward sales, as well as targeted intervention for invisibles. This amount does not include its daily intervention of $1.5 million on the interbank market. The CBN Governor, Mr. Godwin Emefiele, on Tuesday expressed optimism about the convergence of the FX rates on the official and parallel markets, stating that the gains made by the naira against the greenback in the last five weeks was not a fluke. Emefiele said he was happy that the central bank’s intervention was yielding positive results. “I am happy, indeed very gratified, that the interventions have been positive, we have seen the rates now converging and we are strongly optimistic that the rates will converge further. “In terms of sustainability, I think it’s important for us to say that the foreign reserves at this time are still trending upwards to almost $31 billion as I speak with you. “And the fact that we have done this consistently for close to five weeks, should tell everybody or those who doubt the strength of the central bank to sustain this policy,” he had said after the meeting of the Monetary Policy Committee (MPC). But an analyst at Ecobank Nigeria, Mr. Kunle Ezun, who welcomed the development in the FX market, pointed out that achieving a convergence between the official (interbank rate) and parallel market rate would be a more onerous task. “For us to have a convergence between the interbank and parallel market, it would require the CBN to devalue the official exchange rate to about N350 to the dollar. “Without that, I don’t see how the official and parallel market rates can converge. Maybe what the CBN governor was talking about is achieving a convergence between the parallel market rate and the rate for invisibles, which is N375 to the dollar. Following the Central Bank of Nigeria’s intervention in foreign exchange, the Naira traded N400 to a dollar at the black market on Wednesday in Abuja. The Naira has also appreciated against the Pound Sterling and Euro rate as it traded at N510 and N415 respectively. One of the Bureau de Change operators, simply known as Tijanni Jos, said that the development had caused operators to lose a lot of money. According to him, operators did not envisage a quick downfall of the dollar which has caused them to buy at an expensive rate hoping to make returns. The Nigerian currency also traded at N307.5 at the interbank window. In other segments of the market, Deposit Money Banks and Travelex, an International Money Transfer Services Operator, sold the Naira at N381 to a dollar. The Governor of CBN, Mr Godwin Emefiele, had on Tuesday, while briefing newsmen on the outcome of the Monetary Policy Committee (MPC) meeting in Abuja, said the apex bank was determined to see the convergence of rates at the foreign exchange market. Emefiele said that the CBN was optimistic that the rate between the official and parallel market would converge further. He also said that the bank could sustain the policy, adding that those who doubt the ability of the bank to take decisions and implement it were taking a great risk. He noted that the nations’ foreign reserves were trending further to $31bn. Emefiele had also warned speculators to desist from stocking dollars at home because the CBN intervention would crash the price of dollar, which was already happening. The CBN had in the last few weeks injected about $1. 7bn into the foreign exchange market. The Naira has continued to appreciate against the dollar at the parallel market, the News Agency of Nigeria (NAN) reports. The Nigerian currency on Tuesday afternoon traded at N420 (buying rate) and N430 (selling rate), while the Pound Sterling and the Euro closed at N530 and N450 respectively. Trading on the floor of the Bureau De Change (BDC) showed that the Naira closed at N400 to a dollar, while the Pound Sterling and the Euro traded at N545 and N480 respectively. The Naira remained stable at the interbank market, exchanging at N307.50 to a dollar. Traders at the market said that they were happy with the performance of the Naira at the market, adding that it would lead to the fall in the prices of goods and services nationwide. Meanwhile, Mr Emefiele Godwin, Governor of the Central Bank of Nigeria (CBN), said that the bank was optimistic to see the further convergence of the official and parallel market rates. Emefiele said this, while fielding questions from newsmen at the end of the two- day Monetary Policy Committee (MPC) meeting of the CBN in Abuja. “We are determined to see a greater convergence of the official and parallel market rates,’’ Emefiele said. NAN reports that the CBN retained the lending rate at 14 per cent and other monetary policy parameters. The CBN has recorded huge success at the FOREX market since it started injecting over 1.5 billion dollars at the interbank market. The Naira has continued to firm against the dollar in defiance of predictions by some experts that it would sink to N1,000 to a dollar by the second quota of the year. After days of gaining strength against the dollar, naira finally lost it’s steam and closed at N465, losing N7 from its Thursday closing price of N458. NAN reports that naira traded at N542 to the pound sterling and N480 to the euro. At the bureau de change (BDC) window, the naira traded at N399 to a dollar at the CBN-controlled rate, while pound sterling and the euro closed at N610 and N520 respectively. At the interbank market, naira traded at 305.25 to a dollar. The CBN has injected over $500 million into the market to boost liquidity and ease the trouble experienced by Nigerians who need foreign exchange for various reasons. Traders in the market expressed concern about the depreciation of the Naira in spite the gains earlier recorded. Aminu Gwadabe, president, Association of Bureau De Change Operators of Nigeria (ABCON), told NAN that there was need for a review of the distribution mechanism. “Many banks are selling to only clients with current accounts and not to savings account holders and there is also increasing demand for forex from our neighbouring countries,” he said. On Thursday, Isaac Okorafor, acting director, corporate communications of the bank, said that the appreciation of the naira was due to intelligent work by the apex bank. The naira, which traded for as high as N520 to a dollar, appreciated after CBN adjusted its forex policy, providing forex for school feels, medical and travel expenses. The naira continued to regain strength and appreciate in value in the parallel market on Tuesday as it was sold for N425 to a dollar. However, it was N450 to a dollar at the close of transactions on Monday. A survey carried out by the News Agency of Nigeria (NAN) on Tuesday at the Bureau De Change (BDC) market in Abuja revealed that BDC operators bought at the rate of N415 and sold at N425. The BDC operators bought the Pound Sterling at N500 and sold at N510, while the Euro was bought for N420 and sold for N425. Some of the BDC operators told NAN that the provision of forex by the CBN to the commercial banks was responsible for the appreciation of the naira in the market. Mr Sani Ahmed, one of the operators told NAN that the best way to crash the high rate in the market was the continuous injection of liquidity into the market. According to him, the appreciation of the naira is a good development for the BDC operators and other investors who require forex for their businesses. “Now that the naira is appreciating, we make more profit because if you buy at the lower rate, you sell and make gain. He, however, said that there was the challenge of accessing the forex from the commercial banks because of the stringent measures stipulated by the deposit money banks to obtain the forex. “If someone applies for forex from the banks, it takes time and the process is frustrating; sometimes, they make additional demands before they issue forex to you,” Ahmed said. Experts have, however, expressed concern about the sustainability of the measures by the apex bank. An economic expert, Prof. Uche Uwaleke, admitted that a complete currency float was capable of unifying rates and reducing round tripping and speculative activities in the market. He, however, said that such a measure could be suicidal for an import-dependent economy that derived much of its forex inflow from a single commodity. He, therefore, recommended coordinated fiscal policies designed to encourage import substitution and enhance competitiveness of local production to help reverse the downward trend in the value of naira. “Government should fast track efforts to improve the ease of doing business and the state of infrastructure in order to attract foreign investments to develop multiple streams of earning foreign exchange. In less than one week, the naira has gained over N85 against the dollar – thanks to the increased liquidity in the foreign exchange market. 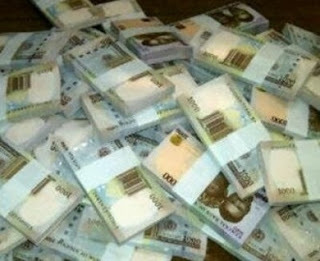 The currency exchanged for N430 to the greenback yesterday at the parallel market. It was N460 to the dollar at the weekend. The Central Bank of Nigeria (CBN) yesterday released $100million into the wholesale forwards segment of the market and $80million into the banks specifically for the settlement of dollar demand for school fees, medicals and Personal Travel Allowance (PTA), among others. CBN spokesman Isaac Okorafor, in a release, said that its commitment to providing enough forex for legitimate business remained unshaken, pointing out that it would do all that is required to ensure the steady supply of forex to the market. Naira’s appreciation has raised hopes that the naira/dollar exchange rate may well be on a permanent journey to the N300 to the dollar predicted by some analysts in the past. The apex bank last week rekindled the forex market by releasing $500million to be accessed through the Deposit Money Banks to fund school fees, Personal travel Allowance and medical bills. The CBN had maintained that much of the dollar demand had been a bubble created by speculators and hoarders of the greenback, warning market players and keepers of dollars to make hay and sell their holdings to avoid heavy losses. 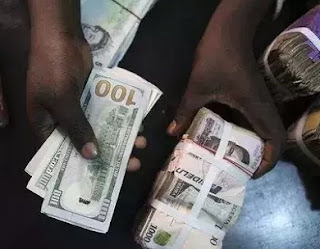 The naira rose to 445 against the United States dollar at the parallel market on Sunday, one week after the Central Bank of Nigeria introduced a new policy measure aimed at boosting foreign exchange supply in the market. The local currency, which had tumbled to 520/dollar last Monday, closed at 450 on Friday. The CBN had last Monday commenced the implementation of the reformed forex policy with a promise to sell $1m weekly to each of the 21 commercial banks in the country. Following the announcement of the new forex policy measure by the CBN on Monday, the naira commenced a gradual reversal of its previous losses, closing at 512/dollar on Tuesday. It recorded further gain on Wednesday and Thursday, closing at 505/dollar and 495/dollar, respectively. Foreign exchange traders said the CBN had intervened on the official market in recent days. Economic and financial experts told our correspondent on Sunday that the naira would record further gain this week but not as big as last week’s. “There is always a restriction point beyond which the exchange cannot cross except there is a huge forex inflow to breach that ceiling,” a currency analyst at Ecobank Nigeria, Mr. Kunle Ezun, said. The Managing Director, Financial Derivatives Company Limited, Mr. Bismarck Rewane, commended the CBN for the policy reform and wondered why the regulator had delayed such measure for months. Rewane said, “With less than $600m supply into the spot market, the naira has gained 13 per cent of its value to N460/$ on Friday. Can you imagine what would have happened if the spot market was adequately funded in a transparent manner for nine months ago, rather than the opaque forward transactions. “Maybe we could have had a soft landing rather than a race to the bottom. This move by the CBN is a good one in the right direction provided the dollar supply is sustained. The Managing Director of Cowry Asset Management Limited, Mr. Johnson Chukwu, also believe the naira will rise further this week. Chukwu said, “Confidence is beginning to return to the market. The naira will gain further but there may be resistance around N400/dollar because the CBN sells to BDCs currency at 381/dollar. Chukwu, Ezun and other experts advised the CBN to re-admit the banned 41 items into its official forex window. According to them, there is the need to discourage end-users from going to the parallel market to source for forex. 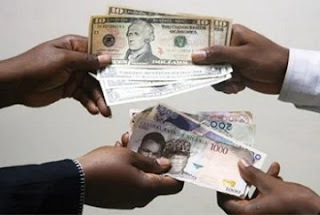 The naira appears to have entered a free-fall mode with the local currency selling for 516 per the United States dollar on the streets of Lagos on Thursday. The naira plummeted at the parallel market from 510/dollar on Wednesday to 516/dollar on Thursday. Currency dealers on the streets of Lagos Island sold the greenback at 516 and bought same for 513. In Egbeda, a major black market centre in Lagos, the naira was sold for 516 and bought at 510. At the Murtala Muhammed International Airport, Lagos, the dollar was bought on the parallel market for 516 and sold at 513. On Wednesday, the local currency had closed at 507 against the greenback as acute dollar shortage continued to weigh on the currency market. The local currency traded at 507/dollar on Monday and Tuesday on the black market. Experts are divided over the outlook for the naira this year. However, some analysts have predicted that the local currency will take further beating against the dollar this year. The Chief Executive Officer, Financial Derivatives Limited, Mr. Bismarck Rewane, said the local currency would hit 520/dollar this year on the parallel market and touch 350/dollar at the official market. An economic expert, Mr. Henry Boyo, has predicted that the naira will hit 1000/dollar on the parallel market this year if the Central Bank of Nigeria fails to review its monetary policy framework. According to him, the current monetary policy framework adopted by the CBN is skewed against the naira. Other experts including the CEO of Afrinvest, a local research and investment advisory firm, Mr. Ike Chioke, says the naira will depreciate further against the dollar this year unless the CBN reforms the currency market. Meanwhile, analysts have predicted that the naira will face fresh pressure on the parallel market next week with dollar supply falling short of demand by persons seeking currency to pay school fees abroad as the CBN continues to ration forex for businesses. Demand for dollars has soared even though the external reserves have reached $29bn. The naira continues to trade flat at the official interbank window at 305.5 to the dollar. Traders said demand pressure was mounting on the black market but dollar supply had not significantly improved, suggesting further depreciation of the local currency might be coming, Reuters reported. Nigeria’s prevailing economic recession has forced the Central Bank of Nigeria (CBN) to suspend printing of small naira denominations for about a year, leading to the scarcity of the notes in the economy, sources at the apex bank have disclosed. The News Agency of Nigeria (NAN), citing sources at the CBN, reports that for a year now, the apex bank did not award contract for the printing of the notes such as N5, N10, N20 and N50 usually done abroad. According to NAN, the recently printed notes in circulation, including N200, N500 and N1,000, were produced by the Nigeria Security Printing and Minting (NSPM) Plc. Sources attribute the high cost of printing banknotes as the reason the apex bank did not award contracts for their production. 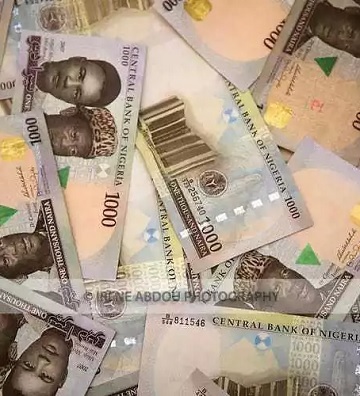 “The cost of printing N50 is almost the same as N1,000 but printing small denominations costs more than the value and with the present economic situation, it makes sense to print higher notes, which can be done locally by NSPM,” a source said. Confirming the scarcity of the small naira denominations in the country, a worker at the First Bank Plc said that there were hardly smaller currency notes to give to customers throughout the 2016 festive seasons. “We usually request for cash from the CBN through our Cash Management Centre, but recently, we have not been able to get mints of N100 and below. We had N50 at one point but it wasn’t in the quantity we are used to getting. “We have been telling our customers who call to request for mints that the smallest note they can get is N200,” the bank employee, who pleaded anonimity said. But the CBN has denied the allegation that it had not contracted the printing of smaller denomination currencies since 2015. The CBN Acting Director, Corporate Communications, Mr. Isaac Okorafor, dismissed reports of scarcity of smaller denominations in the market. He said people are complaining because the CBN did not make provision for mints to be supplied in smaller denominations during the festive season. “You see, people are fond of abusing these denominations by spraying them to be stepped on during weddings and other ceremonies. The abuse is even worse during the festive season, so we decided to make scarce the denominations. But it’s not that we have not been printing them. Yes, we haven’t printed abroad but we also print locally, which we have been doing,” he said. The naira is one of the world’s four worst performing currencies in 2016, according to a report by Bloomberg LP. The naira was said to have lost 36.68 per cent of its spot returns for the year, while the Egyptian pound, Suriname dollar and Venezuela bolivar’s currency spot returns dropped by 58.84 per cent, 46.68 per cent and 37 per cent, respectively, for the period. The Nigerian equity market fared worst in the year, according to the report, as the nation’s economy is set to contract in 2016 for the first time in more than 20 years as capital controls deter foreigners from investing and militants are blowing up pipelines. The five best performing currencies of the world are the Russian ruble, Brazilian real, the palladium, the Iceland krona, and silver, which appreciated by 21.31 per cent, 20.96 per cent, 20.08 per cent, 14.42 per cent and 14.41 per cent, respectively, in terms of spot returns. Two Africa currencies, the Zambian kwacha and South African rand, emerged as the sixth and seventh best performing currencies of the world. The kwacha and rand appreciated by 11.96 per cent and 11 per cent respectively. On the other side of the spectrum, digital currency, bitcoin, was the best performer this year, rising more than 100 per cent as capital controls in places like China and isolationist rumblings in the United Kingdom and the United States fuelled interest in alternate currencies, according to the report. It added, “When it comes to currencies issued by governments and central banks, the Russian ruble has been the best performer of the year as the oil market rebounded. Despite recent unrest, Brazil’s Ibovespa stock index remained the best performer for 2016 when looking at all indices in terms of the US dollar, the report noted, stating that this was largely due to hopes that President Michel Temer, who took office after Dilma Rousseff was impeached, would end the worst recession in a century and bring about political stability. Donald Trump victory is good for the naira, and many other currencies around the world, the markets have shown. A Trump victory is seeing a plunge in the US dollar, and a record fall in the Mexican Peso, which has lost over 12 percent in the past 24 hours. The US dollar has fallen by over three percent to the Japanese yen, while the Mexican Peso is ploughing fresh record lows against the US dollar and the euro, with fears that a Trump presidency will hurt the Mexican economy hard, the UK Guardian is reporting. The greenback fell as much as 3.8 percent against the yen, the biggest intraday decline since the Brexit referendum, 2.4 percent against the euro and 2.3 percent against the Swiss franc. For the Nigerian naira, a drop in the dollar may not necessarily yield a strengthening of the currency against other currencies, but the naira will be stronger, relative to the dollar. According to Lukman Otunuga, market analyst at FXTM, “a Clinton victory may indirectly impact Nigeria via a resurgent Dollar and heightened US rate hike expectations for December”. “Markets still remain supportive of a Clinton victory though, but as said, this will punish the naira and Nigeria even further. “We have a situation where both candidates could represent a negative impact to the global economy. A Trump victory may also impact Nigeria via uncertainty and risk aversion which will punish emerging markets”. Jameel Ahmad, chief market strategist at FXTM, had earlier said a Trump victory will be good for the British pound, which may rebound from being the worst major currency of 2016. Ahmade goes on to say “Donald Trump becoming the President of the United States could result in growth forecasts being downgraded at least in the short term due to investor uncertainty, which will in theory weaken demand for commodities like oil and weigh on the valuation of oil”. In the long run, this may be bad for the Nigerian economy, with oil prices expected to fall again. The Nigerian currency, the naira has yesterday sunk further to N375 to a Unites State dollar, defying every solution meted out by the Central Bank of Nigeria to strengthen it. in the light of incessant fall of the naira, some economists on Wednesday advised the Federal Government and the Central Bank of Nigeria to review their policies and introduce measures that would turn around the dwindling fortunes of the nation’s economy. They spoke against the backdrop of the persistent fall of the naira against the dollar, with the local currency exchanging for 375 against the greenback at the parallel market on Wednesday; the imminent economic recession; and the spike in inflation to 16.5 per cent in June. The Chief Executive Officer, Economic Associates, Dr. Ayo Teriba, who noted that the global fall in crude oil prices had made the nation’s oil revenue to nosedive, said there was a need for the Federal Government to seek foreign exchange from alternatives sources in order to cover for the shortfall. He said Nigeria and its economic managers could not afford to fold their arms and allow the situation to get worsened. Rather, he said efforts must be geared towards implementing policies that would fight negative growth and inadequate liquidity at the interbank market. Teriba said, “There are a number of things we can do as a country to boost our forex supply. Just the way India did some years ago, we can tap Nigerians in the Diaspora to contribute forex to save the situation at home. We can’t say we have done all when we have not done this. A professor of Economics at the Olabisi Onabanjo University, Sherriffdeen Tella, who emphasised the need to stop the speculative attack on the naira, said the Federal Government needed to review its policies and boost local production. An economic analyst at Ecobank Nigeria, Mr. Kunle Ezun, said there was the need to close the gap between the exchange rates at the official and parallel markets. He said the government must also address the spike in inflation, negative GDP growth and naira depreciation effectively and urgently. Meanwhile, the naira tumbled further against the dollar at the parallel market on Wednesday and closed at 375, down from 368 on Tuesday. Foreign exchange dealers said the lingering scarcity of forex at the interbank market was shifting dollar demand to the black market. The local currency had lingered between 346 and 348 at the parallel market before tumbling to over 360 this week, following the total floating of the naira by the CBN on Friday. The local currency, however, eased slightly against the dollar at the official interbank market and closed at 294.23 on Wednesday, up from 294.87 on Tuesday. 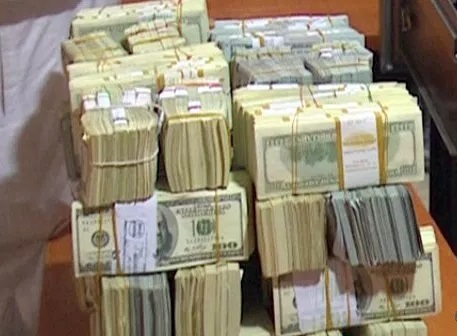 Dealers said the local currency was stuck at 294.23 after just one transaction was carried out, with the supply of dollars drying up and no intervention by the CBN, Reuters reported. Highlighting the state of the interbank market, an economist at Exotix, Mr. Alan Cameron, said, “Recent FX reforms have been enough to re-open the investment case for Nigeria, but there is still some uncertainty about the functioning of the market. According to some analysts, foreign investors have welcomed the removal of currency controls by the CBN but many are still steering clear of the Nigerian economy until it shows signs of a concrete recovery. “Most investors would like to see a more liquid FX market before resuming purchases of local assets,” the Head of Africa Strategy at Standard Chartered Bank, Samir Gadio, told Reuters. The Chief Executive Officer, Cowry Assets Management Limited, Mr. Johnson Chukwu, said the naira was falling at the parallel market because demand had shifted there due to lack of liquidity at the interbank market. 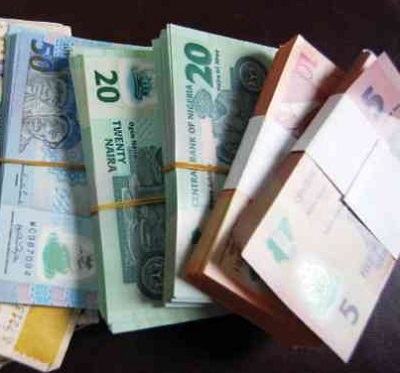 However, the National President, Association of Bureau De Change Operators, Aminu Gwadabe, said the naira was not sustainable at 375 to the dollar at the parallel market.